Apthorp, Elaine Sargent. “Re-Visioning Creativity: Cather, Chopin, Jewett.” Legacy 9.1 (1992): 1-22. 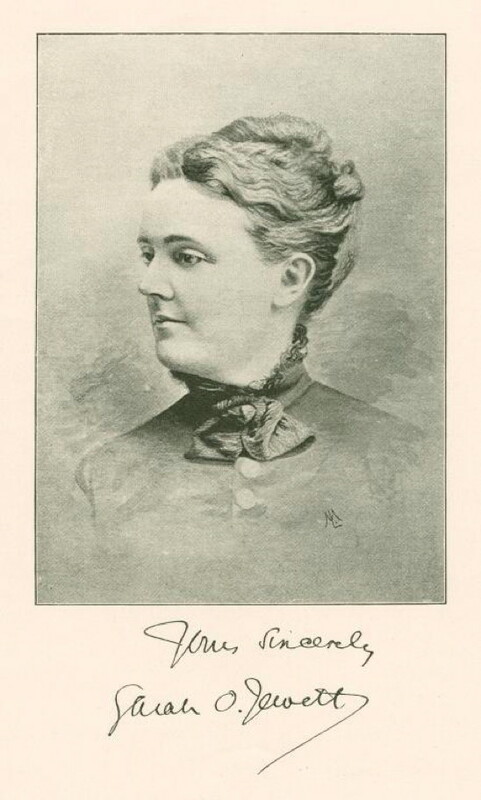 Jewett, Sara Orne. Legacy Reprint: “Tom’s Husband.” [Atlantic Monthly, February, 1882] Legacy 7.1 (1990): 30-37. Littenberg, Marcia. “Review of Josephine Donovan’s After the Fall: The Demeter-Persephone Myth in Wharton, Cather, and Glasgowand Sarah Way Sherman’s Sarah Orne Jewett, An American Persephone.” Legacy 7.1 (1990): 65-6. Maik, Thomas A. “Reclaiming Paradise: Role Reversal as Liberation in Sarah Orne Jewett’s ‘Tom’s Husband. '” Legacy 7.1 (1990): 23-29. Oakes, Karen. “Review of Margaret Roman’s Sarah Orne Jewett: Reconstructing Gender.” Legacy 10.1 (1993): 67-68. Pryse, Marjorie. “Review of Marilyn Sanders Mobley’s Folk Roots and Mythic Wings in Sarah Orne Jewett and Toni Morrison: The Cultural Function of Narrative.” Legacy 10.1 (1993): 69-70.